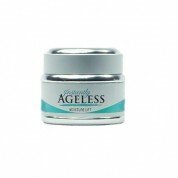 Buy Instantly Ageless OMG, formerly known as Facelift in a Bottle, in our online store, or call us to speak with a live esthetician. Skin Care by Alana has become one of the largest retailers of Instantly Ageless, a wrinkle-eliminating system that produces instant results. Based in Orange County, California, Skin Care by Alana has years of experience shipping skincare products across the US as well as selling to local spa customers. If you need assistance placing an order or would like any kind of skincare advice, give us a call seven days a week. One call and you will realize what sets Skincare by Alana apart from the competition. Skincare by Alana is the best place to purchase Instantly Ageless OMG products. Don't believe us? See our testimonials from thousands of satisfied customers. Skincare by Alana also always offers free shipping on order $25 or more, as well as free gift options.